Best way to learn more is by using search-term “Ashkelon Excavations” because it will bring information about economics, archaeology and more. Following is a photomosaic, thanks to Hanumant Singh, of one of the two shipwreck sites. 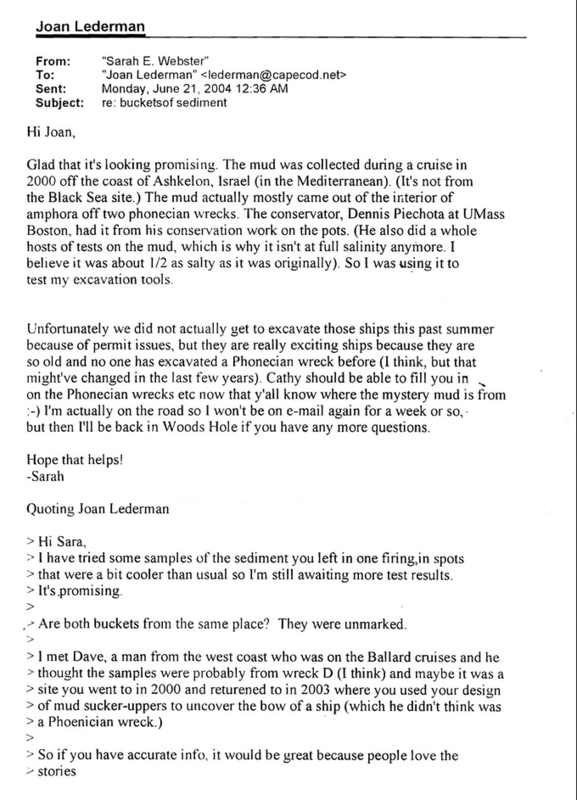 Sarah Webster gave me the sediment sample.